Are you getting the most out of your medicines? Are you unsure of the best time to take your medicine? Are some changes confusing you? Our pharmacy provides a service to help patients manage their medicines. This can help people who are having problems with their medicines including forgetting to take medicines on time, maybe taking an overdose, or if you are unsure what the medicines are for and we can assist if you are troubled by medicine changes. Our pharmacy offers a unit dose packaging service to help people take their medicines on time. 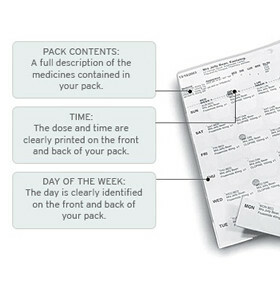 The Medico Pak arranges all your daily medicines into pre-packed, ready-to-take doses. Each dose is clearly marked with the day and time it should be taken, which means there’s less chance of taking the wrong medicines at the incorrect time. You can see at glance whether you have taken your dose. 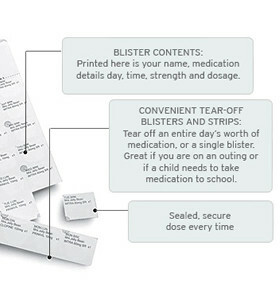 Each dose comes in a convenient tear off strip so you can take it when you go out. We are happy to discuss this service and the small cost involved. 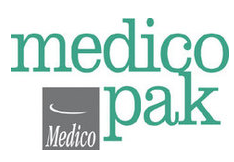 Who may benefit from a medico pak?